Berries are a love of mine. I love how naturally sweet they are. I love that they are a low glycemic food. I love that you can even grow your own at home. I used to have 3 blueberry bushes… Maybe I should plant some at my new house. I was starting to dream (I dream about food mostly) about a berry dessert that was egg free, gluten free, and dairy free. It took a little time, but finally was able to create this beautiful dessert. This crust is surprisingly easy to make. You throw everything into your food processor and blend it all together. 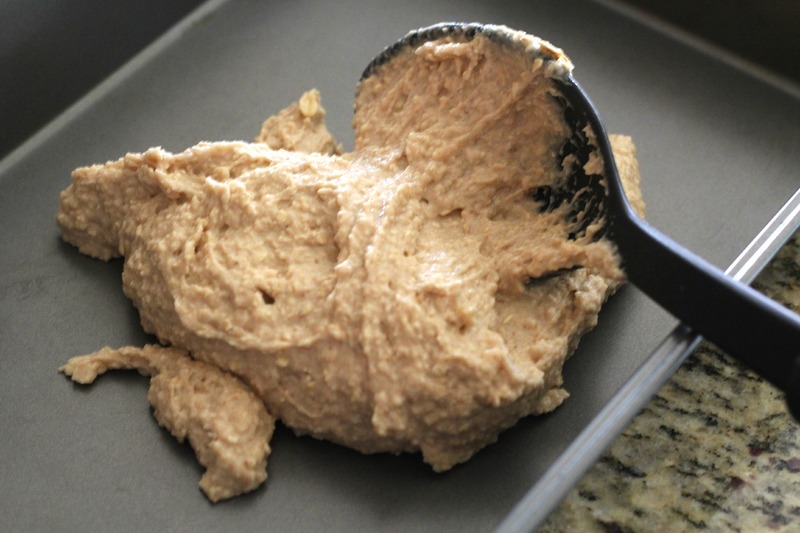 Once mixed in well, you spread it evenly in a 9×13 inch baking pan. If you wanted to be able to lift your bars out of the pan easily, I would recommend lining your pan with parchment paper. I cooked 3 cups of frozen berries since berries aren’t really in season right now. In the summer, you can use fresh berries. 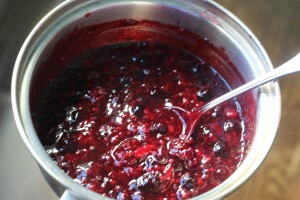 I use glucomannan to thicken the sauce of the berries. Buy Glucomannan Powder here if you are out. 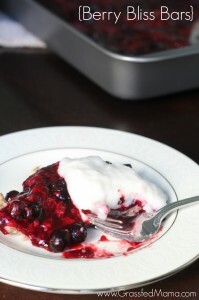 I topped my Berry Bliss Bars with coconut whipped cream. You can use a different type of whipped cream if you aren’t needing to stay dairy free. 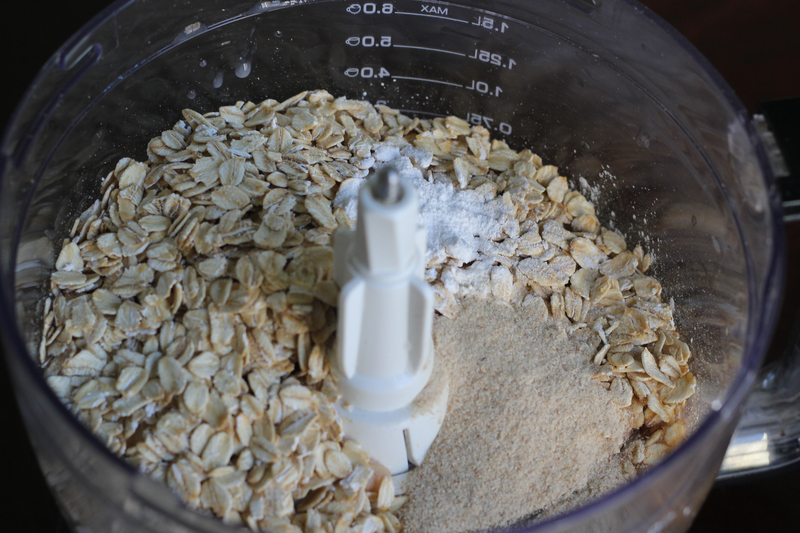 Mix everything together in food processor. Blend for 3 minutes or until everything is well incorporated. 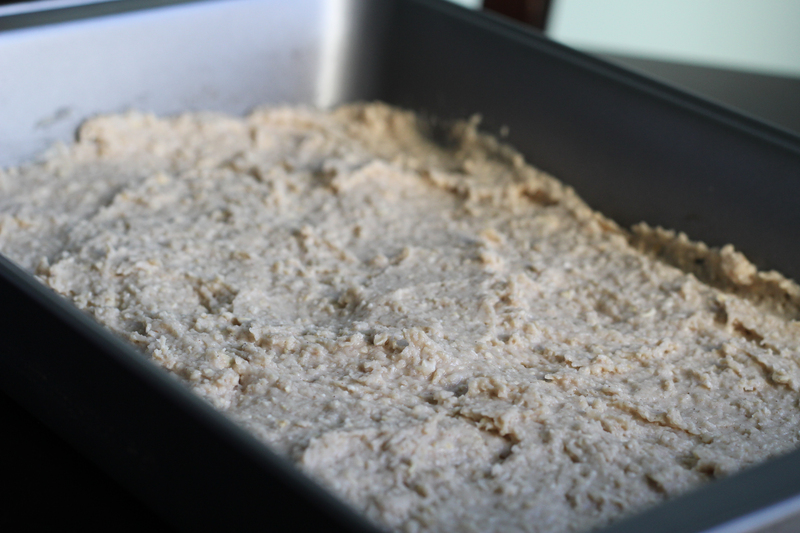 Press dough into 9×13 inch baking pan. Add berries, water, and salt to a saucepan. Heat on medium heat. Stirring occasionally. (If using frozen berries) Once the berries are thawed reduce heat to low, sprinkle the glucomannan in about 1/3 at a time stirring well to mix in. Add in xylitol (or sweetener of choice). Continue stirring occasionally, until ready to pour over crust. To make the bars, Pour the berry topping over the crust. Top with whipped cream. In a mixer, combine everything but the glucomannan. Whisk on high for 3-5 minutes. Once airy with some bubbles, slowly add in the glucomannan while mixer is still running. Place in fridge for 5 minutes or so. 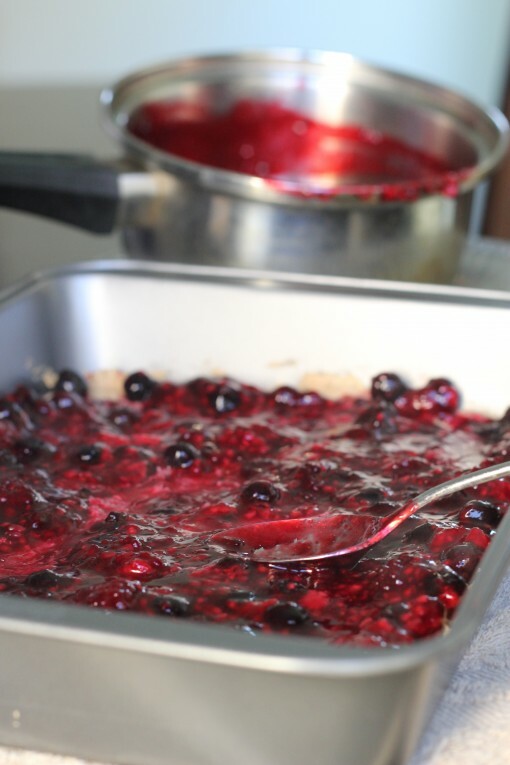 Once ready to top dessert, place bowl back on mixer and mix again 1-2 minutes. Press dough into 9x13 inch baking pan. 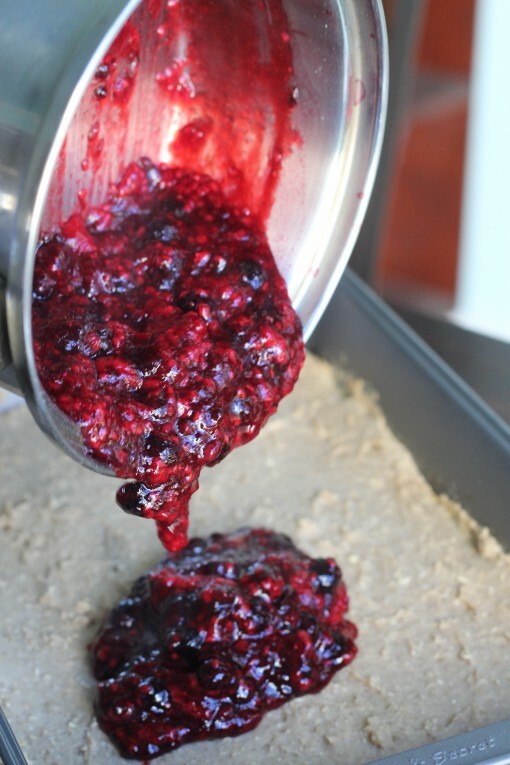 (If using frozen berries) Once the berries are thawed reduce heat to low, sprinkle the glucomannan in about ⅓ at a time stirring well to mix in. 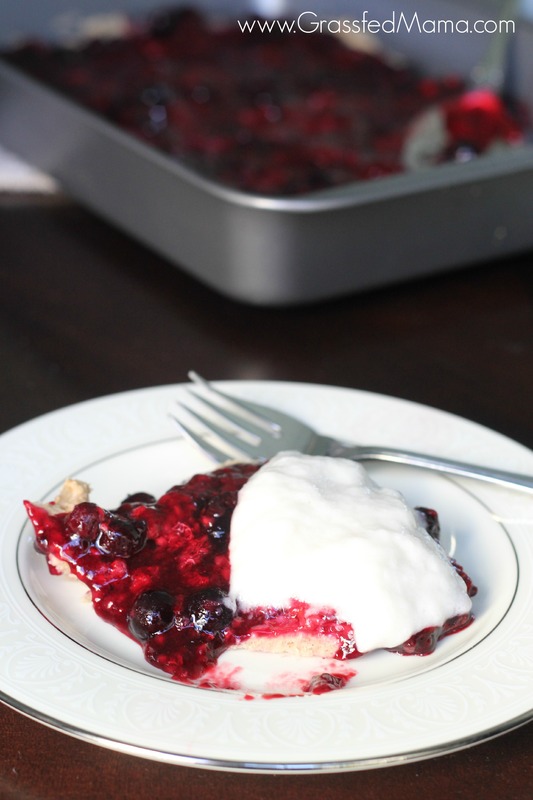 If you don't have to be dairy free, you could also try with these Berry Bliss Bars topped with stevia sweetened Greek Yogurt. Great recipe with such healthy ingredients Angela I printed it to save for future use. Thanks for sharing. Visiting from MMM Link Up Party. Have a wonderful healthy day. Shared! Thanks for sharing on Real Food Fridays blog hop Angela. Have a wonderful healthy day. I love berries too. My daughter will eat a whole carton of blueberries in one sitting… so it is hard to get her to share with the rest of us, haha. I’m especially ready for berry season to start! Hi Angela! I’m stopping in from Let’s Get Real today. I was really curious about your non-dairy whipped topping. My father has recently been told to avoid dairy and I am not in search of great recipes to give him to help him out. He loves to cook and is eager to follow his new diet, but 65 years of habit are hard to change. This should help! I like coconut milk whipped cream. You can use a can of full fat canned coconut oil and leave it in the fridge overnight. Then there will be a really thick cream at the top. If you just use that, you can whip it up without using glucomannan. I do that sometimes. I like to use a little glucomannan to help it hold it’s peaks though (a little goes a long way). Hi Angela, Loved your recipe so I featured it on Real Food Friday Blog Hop this week. Hope to keep seeing your posts and recipes. Thanks for being part of Real Food Fridays Blog Hop.